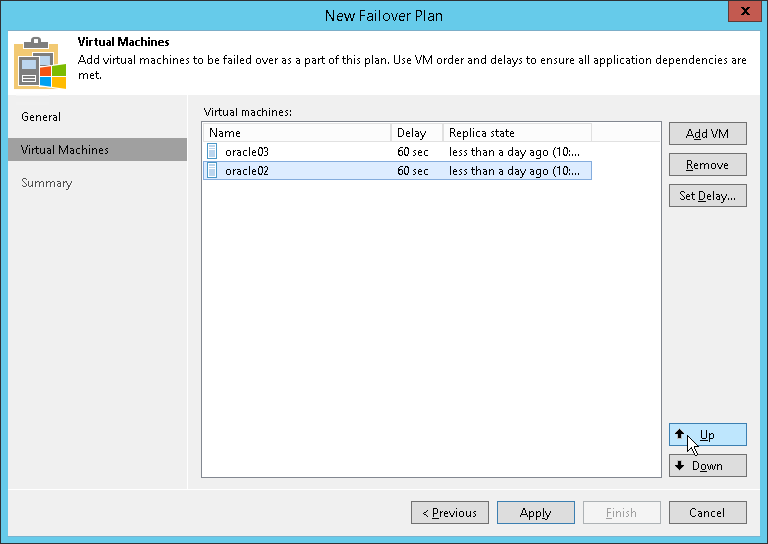 The VM replicas in the failover plan are started in the order they appear in the VM list. If some VMs provide environment for other dependent VMs, make sure that they are started first. Move the VM up or down the list using the Up and Down buttons on the right.